Caen is 12th on table with 34 points (17 points at home ) while Bordeaux is 7th on table with 42 points (17 points on the road). Both teams are in good form but Caen is in better and with 13 points from last 5 matches they are in the best form in league. Bordeaux won 9 points from last 5 matches where they haven't a defeat. 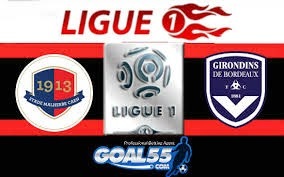 Caen won 2-3 against Marseille in last round while Bordeaux played 1-1 against Reims. This season they played 1-1 (1-0 on halftime for Bordeaux) and now I expect similar result in this match. I try with Caen on halftime because they are in excellent form and they play offensive but draw at the end of the match. Caen/draw is my prediction.